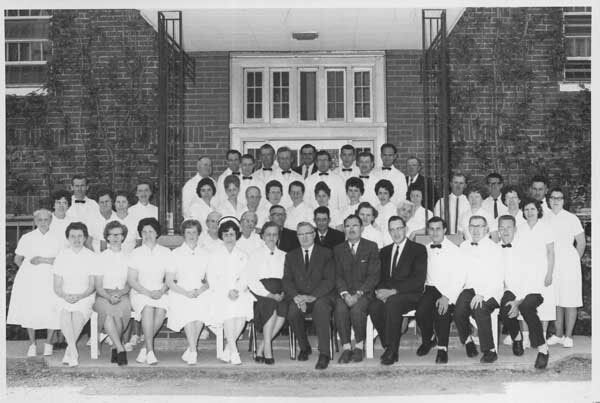 Staff outside the Bethesda Home in 1965 in Campden, Ont. 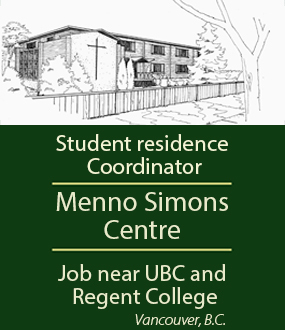 Bethesda, the first Mennonite mental health facility in North America, was begun in the early 1930s by Henry and Maria Wiebe to serve the Russian Mennonite immigrant community. The Wiebes had gained their experience working at Bethania in Russia, the first Mennonite mental health hospital in the world. Mennonite immigrants to Canada in the 1920s were required to pay hospital costs or risk deportation. 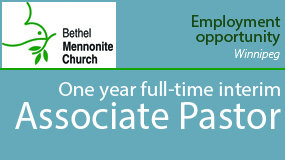 Mennonite Brethren Church leaders recognized the need for care, and approached the Wiebes to start Bethesda. In the late 1960s, it evolved into a home serving people with intellectual disabilities.